Studio(s): Iam21 Entertainment, Washington Square Films, Black Maple Films. Cast: Keith Stanfield (Colin Warner), Nnamdi Asomugha (Carl King), Natalie Paul (Antoinette), Bill Camp (William Robedee), Nestor Carbonell (Bruce Regenstreich). 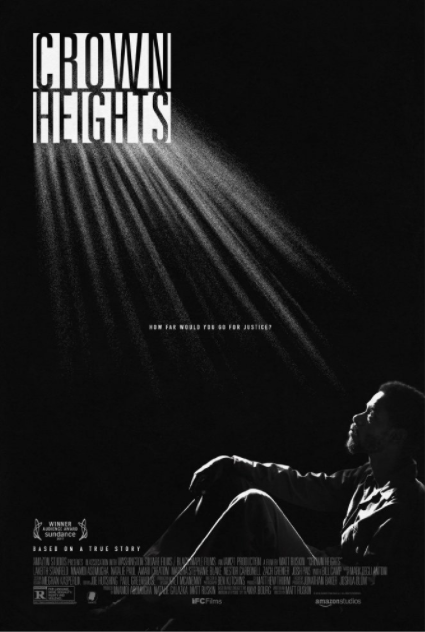 Story: On April 10, 1980, a shot rang out on the streets of Crown Heights, igniting a decades-long quest for justice in this harrowing true story. Colin Warner is arrested and tried for a crime he did not commit, a victim of a deeply broken system that refuses to listen. Quick to throw him away, the court wrongfully convicts him. But as Colin loses hope to reclaim an innocence that has been cast aside, his best friend, Carl King, devotes his life to restoring Colin’s freedom, doggedly pursuing every lead for years. Source: Sundance.org. This entry was posted in Upcoming Films and tagged Based on Actual Events, Drama, Keith Stanfield, Nnamdi Asomugha, Sundance Film Festival by blackcinemaconnection. Bookmark the permalink.